2K decided to support Switch right out of the gate with both NBA 2K18 and WWE 2K18. In an interview with 2K president David Ismailer at E3, we find out that 2K was quite happy with how these games performed. 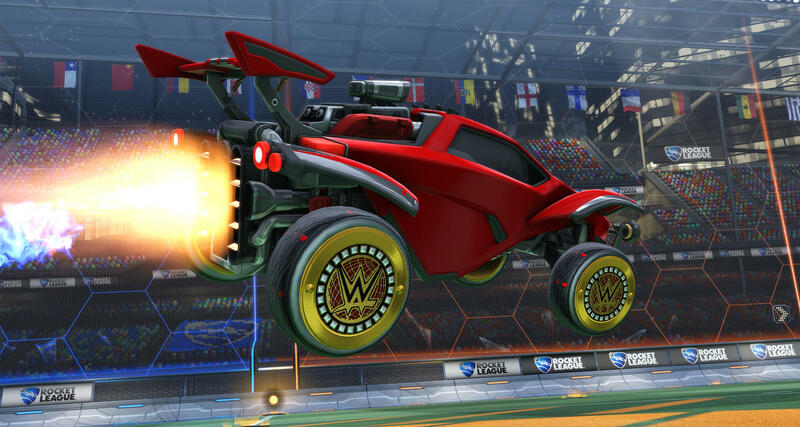 "We're really happy with our performance on NBA, and WWE. I think we are going to be continuing supporters of the Switch platform. A lot of the developers are huge fanboys of the Switch platform, so they really love developing for [it]." This interview was conducted at E3 2018, and since then we've officially learned that WWE 2K19 is not coming to Switch. I guess that continued support Ismailer talked about is going to be quite selective. Further in the interview, Ismailer addresses the required download for games like NBA 2K18, and says that it didn't impact sales. He also explains why something like this is necessary. "Our goal is to deliver the exact same experience. We don't want to create a different and bifurcated experience for the Switch platform. In order to accomplish that goal--our games are very big--that was the requirement. If we wanted to deliver a different experience, or I would say a sub-standard experience... But when we initially started development on the Switch, the goal was to deliver the same experience you have on [other] consoles." We learned the other day that WWE 2K19 is not coming to Switch. If you wanted the official statement from Take-Two confirming that information, we have it for you below. WWE 2K18 could very well be the worst port of any game to the Switch. It really didn't seem to get any optimization, and the resulting port was extremely lackluster. Many were hoping that 2K would set things right with the next year's installment, but now we know there's no chance of that happening. 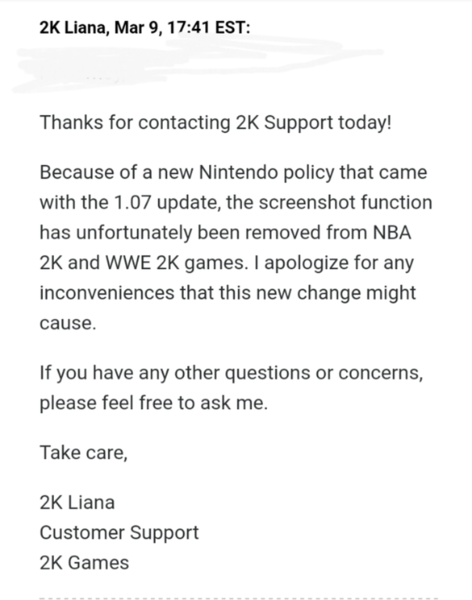 2K has confirmed that WWE 2K19 is skipping Switch altogether. 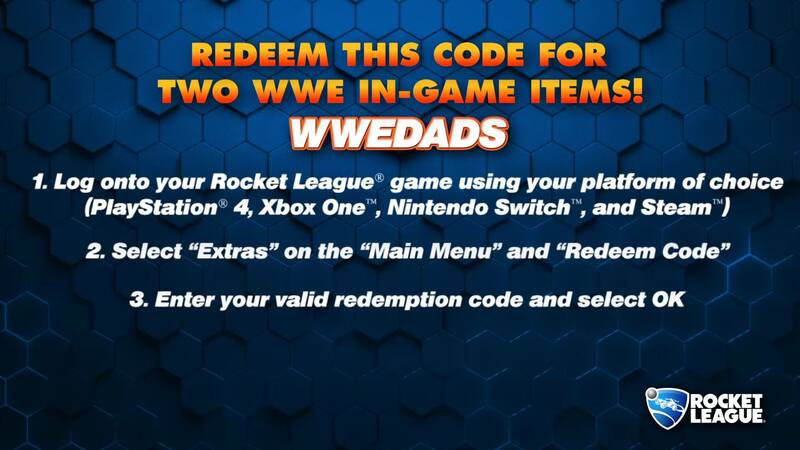 If you want to get some free WWE gear in Rocket League on Switch, just use the code above and you should be all set! I know I'm down for anything free, and doubly down for WWE content! All this mixing of WWE and Nintendo is just too much for my heart! Still can't believe I'm getting to see these elements of my life cross over into one another. I hope there's a lot more to come! WWE 2K18 has finally gotten another patch, and it seems to make a few minor adjustments/changes to the game. Some of the broken entrances have now been fixed, some framerate issues have been worked on, and other minor bugs have been taken care of. Sadly, the game is still far, far off from being in the state it should be. Good news! WWE 2K18 has gotten another patch on Switch. It's been quite some time since the game received an update. Bad news! It seems the patch doesn't do much of anything to fix the game. I keep hoping that the next update for the game will make a big improvement, and keep getting let down every single time. Well here's an odd one for you. The 2K support person doesn't bother to say what the policy is, or if the screenshot feature will be coming back. If I had to guess, it probably has something to do with licensing issues. Hopefully 2K gives an explanation in the near future. It breaks my heart that of all ports to the Switch, WWE 2K18 seems to be the worst by a longshot. Plus, there hasn't been an update that manages to improve the game to at least a mediocre level. I had video ideas planned out for this one, but I just can't execute them with the game running so poorly. We don't have the full details on what this patch does, but we know that 2K said the aim was to bring WWE 2K18 on Switch up to speed with the other versions. Anecdotal evidence from users downloading the patch is that it doesn't seem to do too much. Hopefully we can get more concrete details soon.